At APEC, our greatest joy comes from the knowledge that our systems are protecting the health of people and their families. 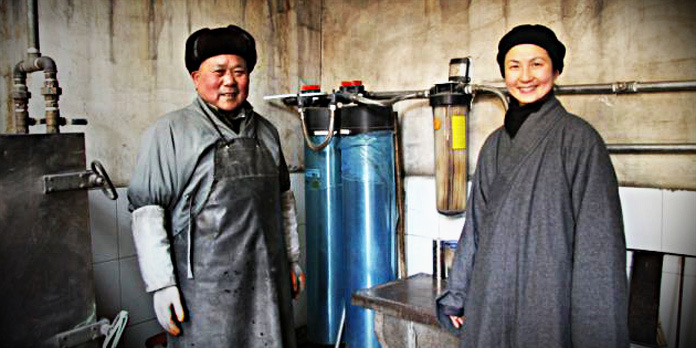 It is our belief that drinking water is a key component to health and that everyone should have access to clean water. 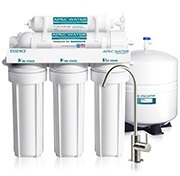 People who are sick and are undergoing medical treatment in particular, need ultra-pure water to protect their compromised immune systems from the chemicals and toxins found in tap water. Cancer patients for instance, need to drink plenty of water to protect their bodies from harsh chemotherapy treatments. 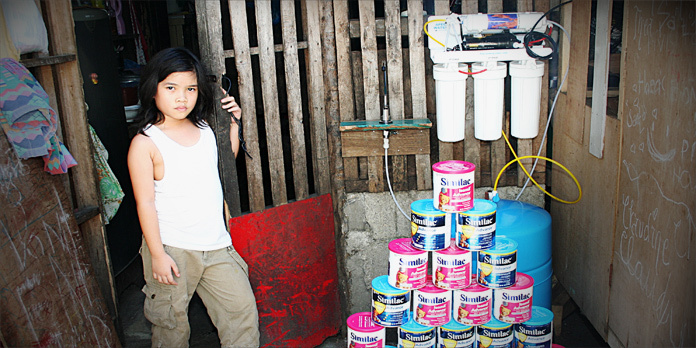 Unfortunately, many people cannot afford a quality water filtration system even though they desperately need it. We want to help change that. 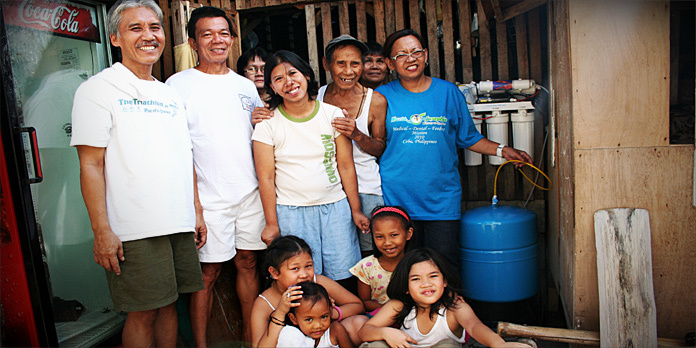 Through our Free Drinking Water charity program, APEC is donating drinking water filtration systems to individuals who have health concerns. 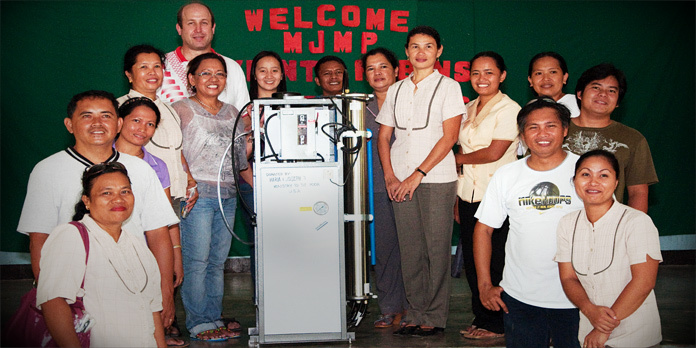 We are looking to help people who are lower in income and have an existing medical condition that would benefit from drinking purified water. If you or someone you know qualifies, please complete the following application and submit it to us for consideration. This charity program is open to all residences within the 48 contiguous United States. It has long been a dream of ours to be able to offer this type of program, and we are very grateful to be in a position to help those who are in need. The support of our customers has made this possible and we humbly offer this program in their honor. We believe that water has the power to soothe, rejuvenate and heal the human body and spirit. 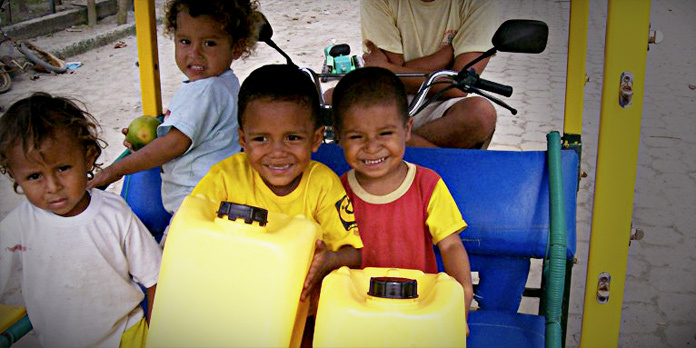 May the benefits of clean water always grace those who are most in need of it. The ROES-50 is an under-the-counter water purification system that needs to be installed and hard-plumbed under your kitchen sink. The unit comes with its own faucet and holding tank and is fully automated. It is recommended for people who are fairly handy and have the manual dexterity to install a water system themselves. Otherwise a plumber may be needed. The ROES-50 is the ideal system for people who live in their own homes and do not frequently move or relocate. The RO-CTOP is a countertop system that can be easily connected to your existing kitchen faucet. 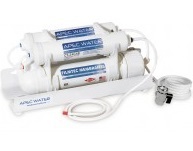 This unit can be quickly setup or removed from any faucet and is lightweight & portable. It does not come with a faucet or tank and purified water must be collected in a separate container or pitcher by the user. This system does not require installation and is recommended for people who cannot install an under-counter system. The RO-CTOP is the ideal system for people who are renting or move frequently and need a convenient portable system. Click here to download application form in Word Doc., format. We want to help in any way possible. If you are unable to open the application forms from the links above, please e-mail us with your contact information at and we can fax, or mail out a hard copy of the form to you. You can also use the quick request form below to contact us. 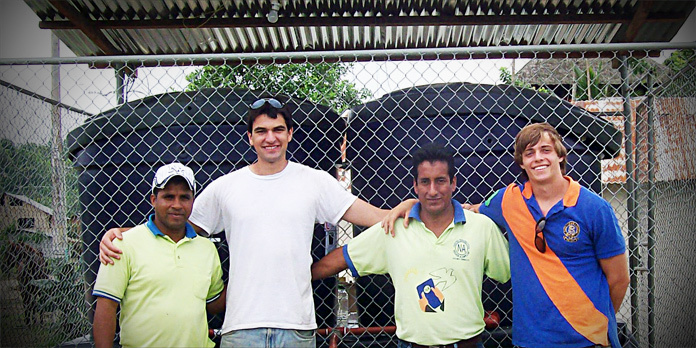 We have had the honor and privilege of working with several non-profit organizations to provide commercial water filtration systems to communities in need. 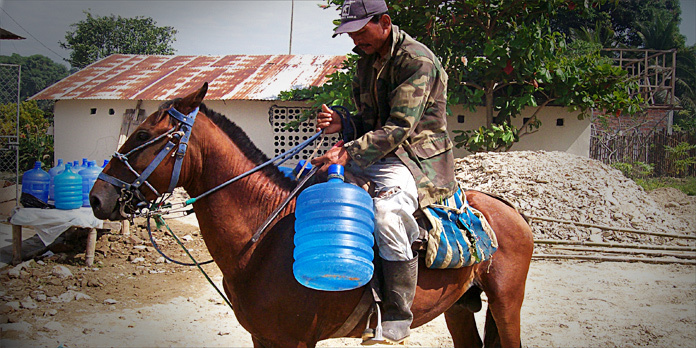 From a small fishing town in Ecuador, to a mountain village in China, from a ministry program in the Philippines, to the victims in the 2010 Haiti earthquake, APEC RO systems have been providing clean drinking water to thousands of people around the world for many years. Donating a system is easy, however dedicating your life to the betterment of entire communities far from home is not. We are truly indebted to our charity partners, without which none of this would have been possible. Thank you all!